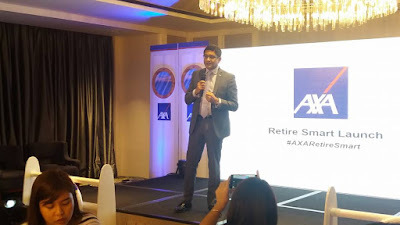 Last August 15, 2017, AXA Philippines launched its investment-linked life insurance plan "Retire Smart" that helps you strategically build a retirement fund so you can live the life you love. Retire Smart not only builds up savings for your retirement, it also comes with a life insurance coverage equivalent to at least 5 to up to 25 times your annual basic premium, to ensure that your family is taken care of in the event of any unforeseen circumstances. 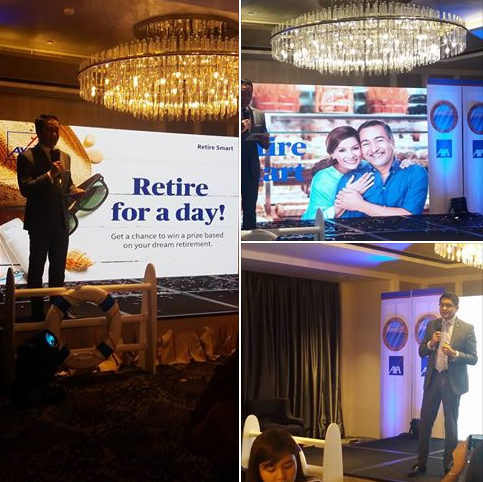 The product launch had a cruise-themed event at the Makati Diamond Residences featured fun-filled activities to help guests envision an enjoyable retirement. After all the hard work you put in over so many years of working, Retire Smart shows that a life in retirement can still be productive and enjoyable, armed with a solid game plan. You can travel around the world, open your own business, and spend quality time with your family and those who matter to you most if you investment in Retire Smart today! Start preparing to pursue those dreams as early as now and live the life you love when you retire! 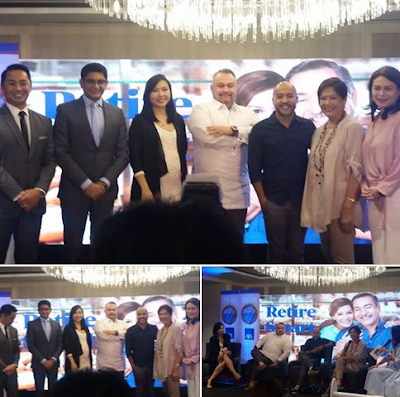 Using the expertise and experience in investment, AXA employs modern portfolio management techniques to maximize the growth of your investment while you’re young, while minimizing volatility as you grow closer to your target retired date. Have the flexibility to choose your investment fund- Retire smart 2030, 2035, 2040 and 2045 – depending on which one is closer to your target retirement year Retire Smart also comes with a life insurance coverage equivalent to at least 5 to up to 25 times your annual basic premium, to ensure that your family is taken care of in the event of unforeseen circumstances. Invest in Retire Smart today! AXA Philippines is joint venture between AXA Group and Metrobank Group.